It’s almost one year since I boarded a plane destined for Japan and two weeks of intensive karate training and testing. Some of my karate friends from around the world are set to take the trip again in around a month’s time. It occurred to me that while I have shared the Japanese medicine side of the trip, I’ve never written about my karate experience there. I train in Goju Ryu karate, one of four traditional styles of karate originally from Okinawa. The style “Goju” means “hard soft”. This refers to the way we use a combination of sharp, powerful and also rounder, flowing strikes, blocks and breathing techniques. Within Goju Ryu my club is part of a subgroup called Seiwakai. 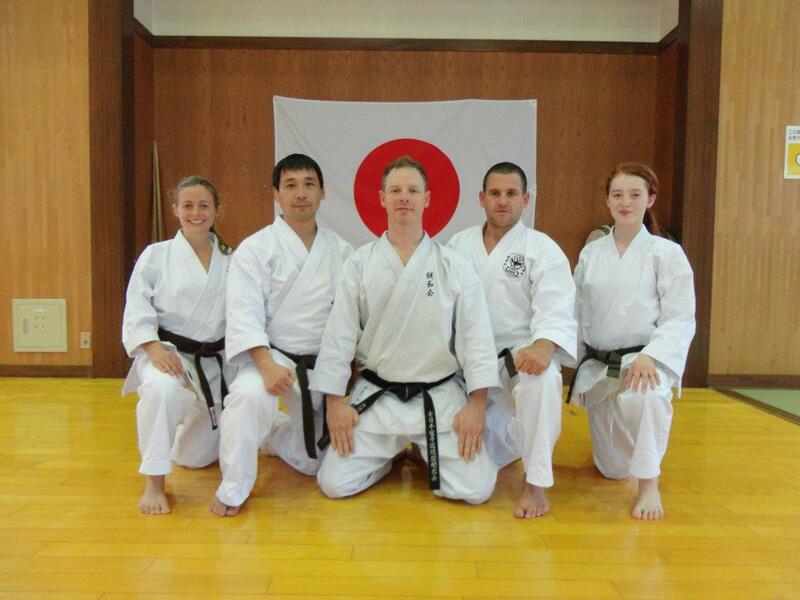 Seiichi Fujiwara Shihan is the highest teacher within Seiwakai. Each July, advanced Seiwakai karate students from around the world travel to Japan to undergo the intensive karate training and testing under Fujiwara Shihan. 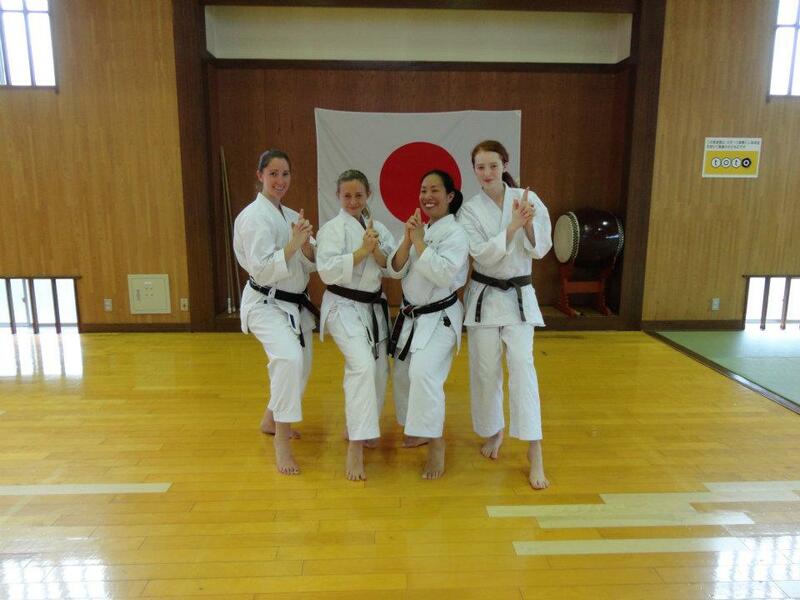 We spend the majority of our time training in the town of Omagari (in Akita province). Each day is the same with 9am-12pm and 3pm to 5pm sessions, with further training in the evenings for those who are tournament oriented. Day one of training is a shock to the system. The training is mentally and physically challenging. It is an intense cardiovascular workout (compounded by the fact that it is hot and humid in Japan at this time of year). The afternoons are dedicated to working through the finer points of our kata (forms) for our grade level. At the end of the day, we feel tired but satisfied. As the days wear on, we settle into the training routine and our skills improve due to the intensive, master tuition. The evenings are spent dining (sometimes somewhere fancy and sometimes in the supermarket – which is not as bad as it sounds), chatting and doing karaoke with our fellow karateka from around the world (including Russia, Portugal, UK, USA and Canada). Following the Seiwakai grading and testing we travelled on the Shinkansen (bullet train) back to Tokyo for the Japanese Karate Federation (JKF) seminar. This was where the Seiwakai students joined with other Goju Ryu students and gained from the knowledge and experience from several great Goju Ryu teachers. The trip was nothing short of amazing. The karate training was hard and intense, there were times where mental or physical hurdles seemed too great and we were too exhausted to face them, but we smashed them in the end. 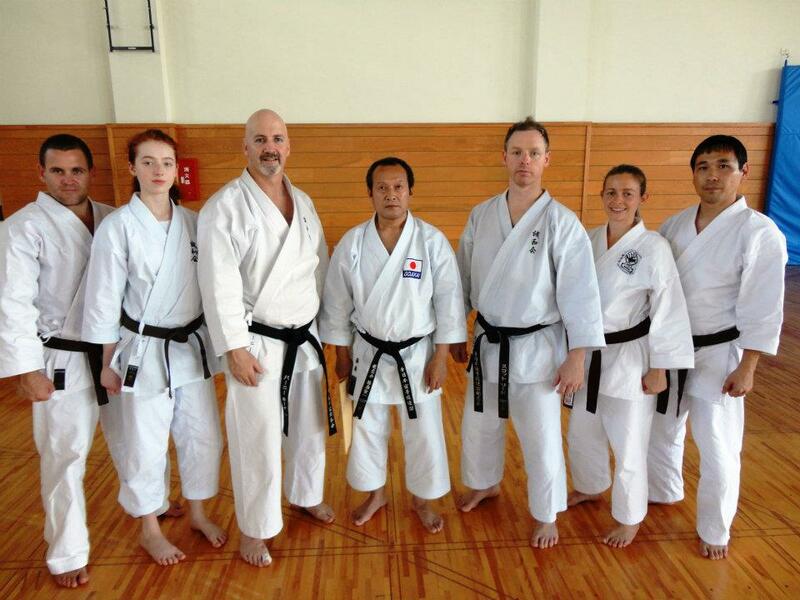 It was an honour to train with Fujiwara Shihan and his group of supporting teachers. I am so grateful for the personal coaching I received during the training sessions. The friendships we made with our fellow karateka are to be cherished. I wish all of my fellow karateka making the trip this year a fantastic few weeks of training and I look forward to seeing you all there in 2014. This week I’ve finally got my act together and started riding to work again. It really is the best way to get to work (and here’s why). However, this transport method has always presented a breakfast challenge for me, as I leave early in the morning and really do love a hot, fancy breakfast (following the Traditional Chinese Medicine view on meals that is – “eat breakfast as an emperor“). But, I’m incredibly pleased to report that I have found the hot and fancy cook-at-work breakfast solution: tamago kake gohan (translated as “egg sauce over rice”). I ate this dish when I was training in karate and exploring traditional medicine in Japan last year and loved it. A gorgeous friend gave me a small rice cooker for Christmas so I’ve taken it to the clinic and put the dish into action. 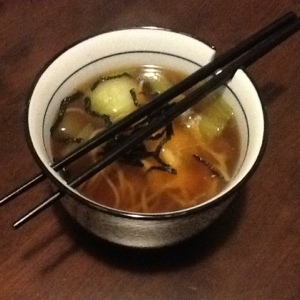 I have been mighty impressed with the tasty and satisfying results. As a side note, grains are copping a bit of a beating at the moment. 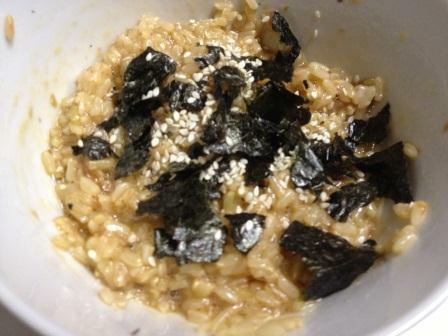 While it’s not good to eat too much of anything and that some grains are also not digested well by some people, it is worth noting that if you do tolerate grains and eat them in moderation they can be health promoting – after all the Japanese have the longest life expectancy and use rice as a staple food. Add rice, water and grated ginger to rice cooker and follow cooking instructions. Just before rice is cooked, beat raw egg and add tamari to taste. When rice is cooked and still steaming hot, transfer to a bowl and pour egg/tamari mixture over the top. Stir through. The egg will cook a little in the hot rice. Note: It tastes MUCH better than it looks! I have recently returned from my first (of many, I hope) trip to Japan. It was my passion for karate that enticed me to visit this country, however I was fortunate to encounter some traditional medicine as I was taking a break from training in the dojo. We visited the preserved samurai village, Kakunodate. Here we were guided around one of the most impressive old samurai houses. The house belongs to the Ishiguru family. During the time of the samurai, this family obtained the first edition of Japan’s first anatomical text. The family studied and practiced herbal medicine and acupuncture to treat illness and recover from injury. 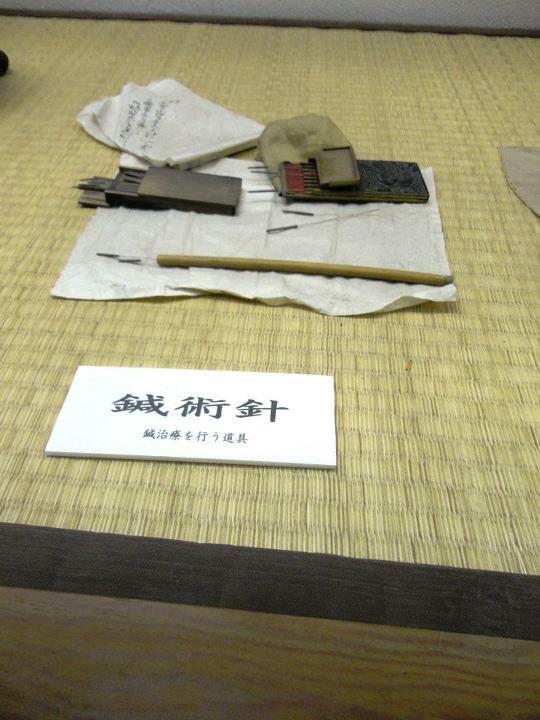 The museum displayed their acupuncture needles, herbal medicine preparation tools and medicinal texts. On returning to Tokyo, I had the opportunity to visit the Nihondo Kampo College. Kampo is medicine system predominantly focussed on herbs. It has its basis in Traditional Chinese Medicine but has been adapted by the Japanese to become a unique style of medicine. 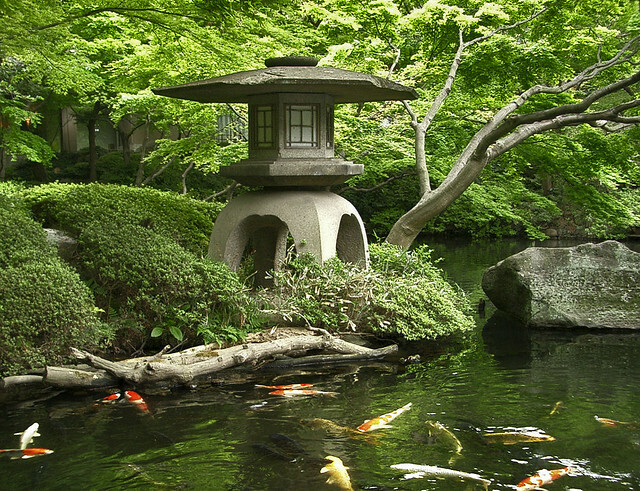 Kampo medicines are part of Japan’s national health system. 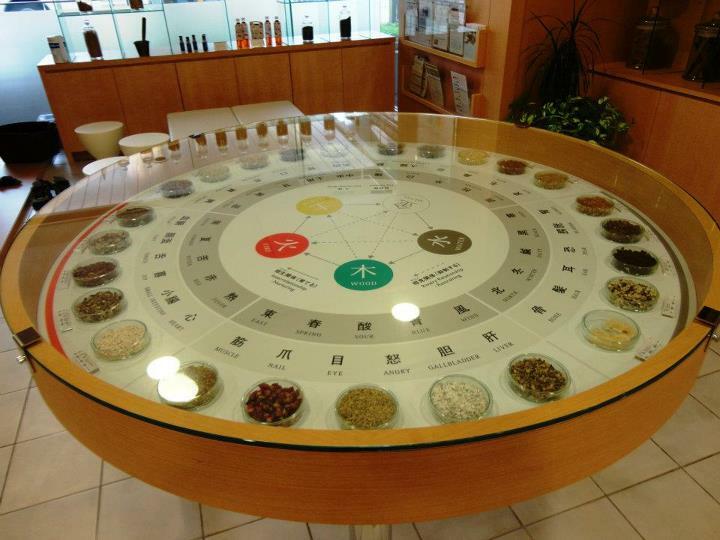 The Nihondo Kampo college included a small but beautiful herbal medicine museum and many Five Element Theory displays. (I’ll discuss some of these theories in future blogs.) Their little shop sold medicinal herbal teas and soup stocks. I could observe the student practitioners (in their white clinic coats just like in Australia) consulting with their patients and herbal medicines being prepared in their immaculate dispensary. The college also boasted a vegetarian restaurant with meals cooked for the health of the patient. Needless to say I was in my element! These were just two highlights from my trip to Japan. I look very forward to visiting this wonderful country again.